These RAD for the Web pages offer free downloads of docs and code. RAD for the Web is for web applications from Windows programs on the web to HTML5 apps in web browsers. Get free collaboration on apps development. And bespoke apps complete (for eventual fee) - Contact RAD for the Web. In UK, enquire of Grey Matter Ltd for legacy versions of Delphi (Delphi 2009 and later) that may be available. GO-Global® publishes any Windows programs on the Web. And Web application development in Delphi Professional is available using IntraWeb to run Delphi Windows programs in any Web browser at any location. List of Delphi books is here, and in Downloads, Delphi Windows Programming PDF's include Mastering Delphi 7 (1000+ pages) and Object Pascal Handbook (October 2014 Draft) by Marco Cantù. Start out with Free Pascal compiler (download here) together with tutorials like Learn Pascal tutorial and books, like Essential Pascal (version 2 PDF- download here). 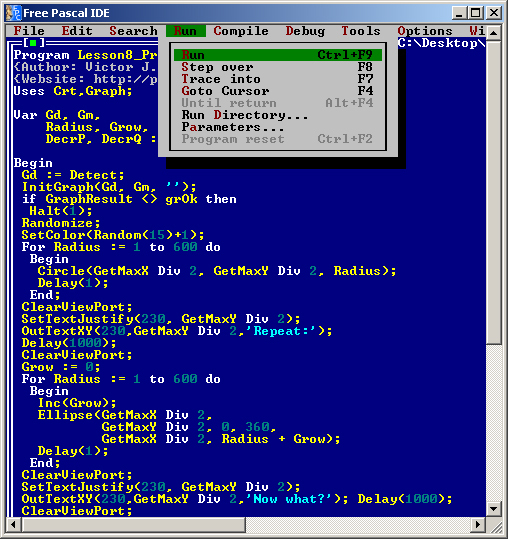 Graphic at left (click to enlarge) shows Free Pascal IDE that is practically same as original Borland Turbo Pascal from which Delphi developed for Windows programming. Start out with Delphi. 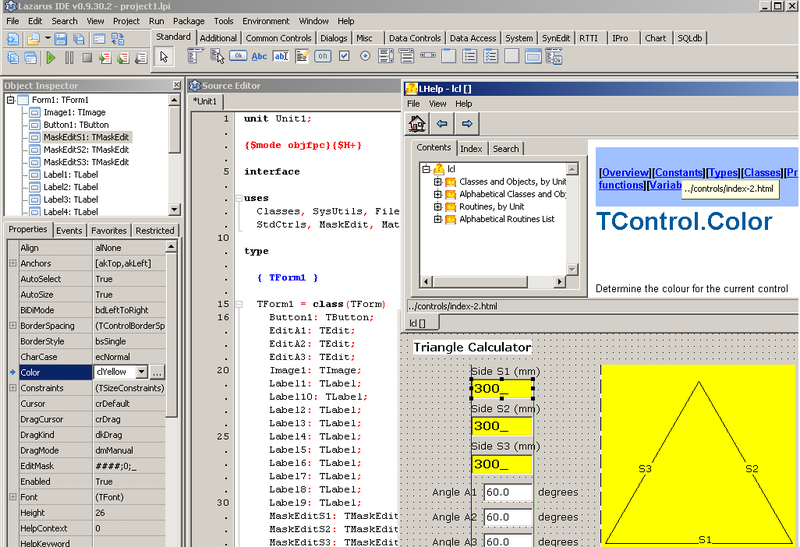 Or, Lazarus (download here) is counterpart of Delphi, with IDE, similar to Borland Delphi 7, shown in graphic at left (click to enlarge). The Help viewer (press F1 on selected property in Object Inspector) is enabled by instructions in Lazarus wiki article Installing Help in the IDE. With Lazarus installed, useful stuff in C:\lazarus\docs. Many examples in C:\lazarus\examples. Lazarus wiki has Object Pascal tutorial and Lazarus tutorial as well as Object Oriented Programming with Free Pascal and Lazurus. Then there is the tutorial Delphi and Pascal Programming , has a lot about Lazarus and a lot about a lot else. 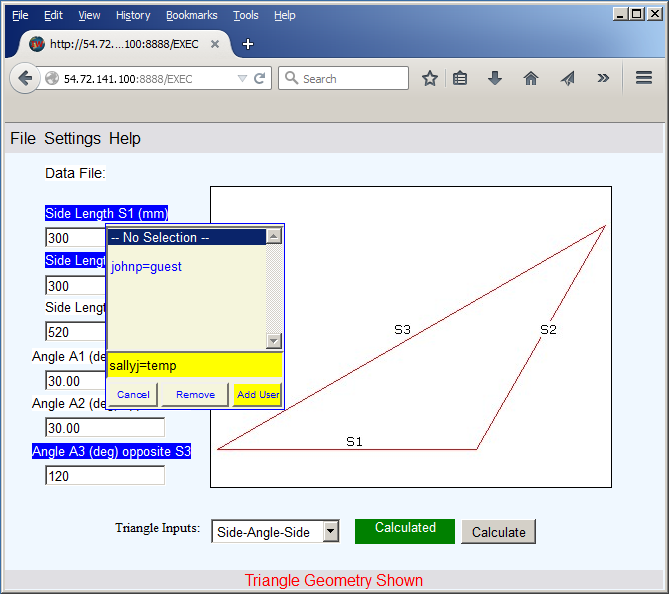 Graphic (click to enlarge) shows triangle calculator desktop app (small trial graphics program) in Lazarus. 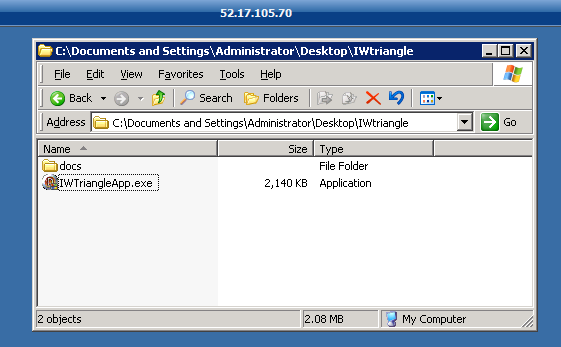 Download Zip file - All Lazarus source files, the executable (triangle.exe) and program notes. Intraweb (IW), is VCL for the Web in Delphi. Two ways of seeing things. One, IW is a gee-whiz technology, extending Delphi to provide a complete development system for advanced Web Apps (see Bob Swart - IW Development). 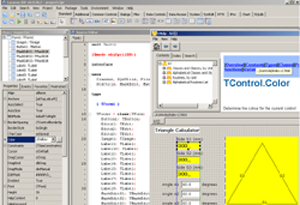 Two, immediate use of IW is limited to providing a set of components, for use in IW forms, that substitute for Delphi VCL common components, with advantage of doing Delphi Win32 application programming yet being able to publish Web Apps with the look and feel of Windows in any web browser. IW components (on tool palette) that are counterparts of VCL components are listed in on-line RAD Studio Help. Download the IntraWeb manual, also available here. And the 'Intraweb Spellbook' is useful reference. 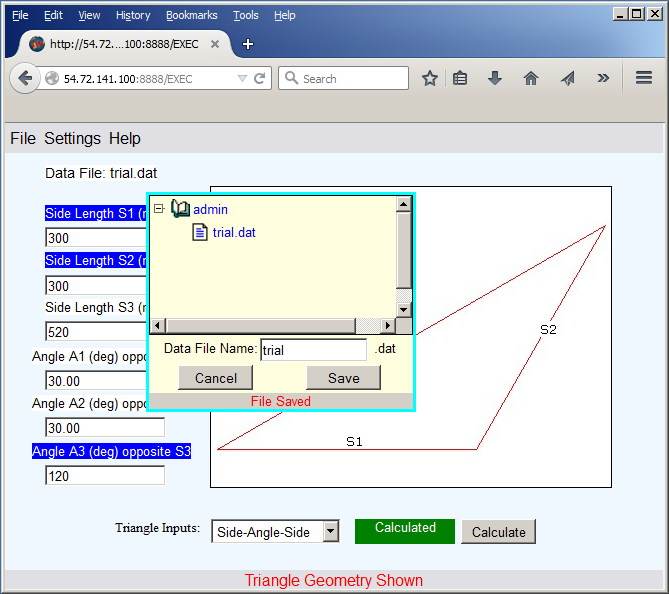 Example of IW programming is IWtriangleapp - download the Delphi source files here. 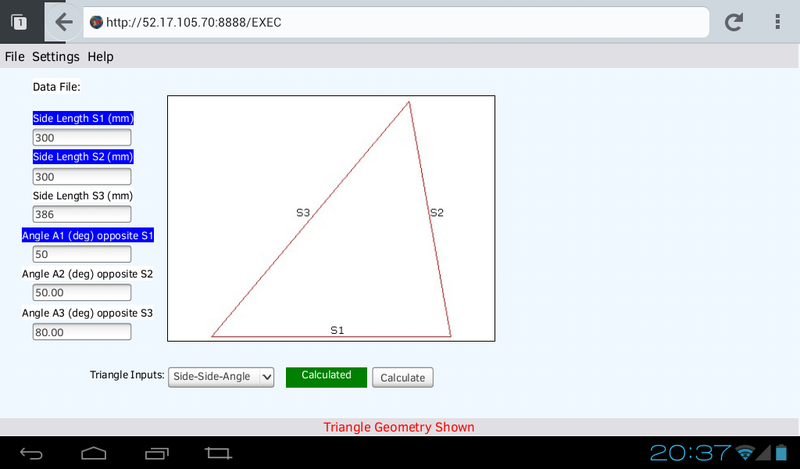 And see programming notes IWTriangleAppNotes.pdf. 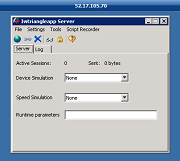 EC2 Windows 2003 demo of IntraWeb (IW) StandAlone Server. Graphic-1 (click to enlarge, arrow keys to index) - Demo IWtriangle folder extracted from IWTriangleAppServer.zip downloaded on EC2 (remote desktop); IWTriangleAppServer.zip is here. 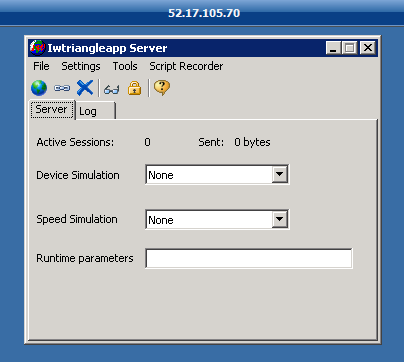 Graphic-2 - IWtriangleapp.exe opened on remote desktop, working as an application server, listening on port 8888 (default). 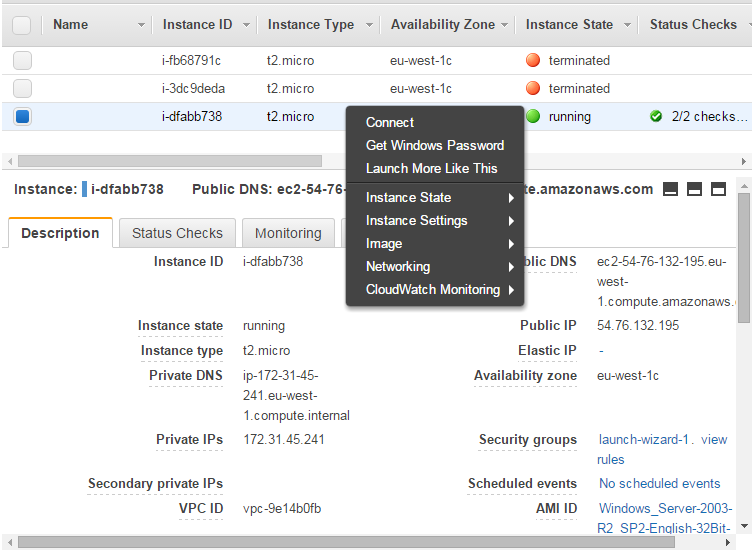 Graphic-3 - EC2 Security Group for running Instance - Port 8888 (default) added to allow connection with IW standalone server. Graphic-1 (click to enlarge, arrow keys to index) - Firefox browser on client machine addressed to public IP of running instance, port 8888 so as to connect with IW standalone server. Graphic-1 shows IW logon dialog - password is admin/admin. 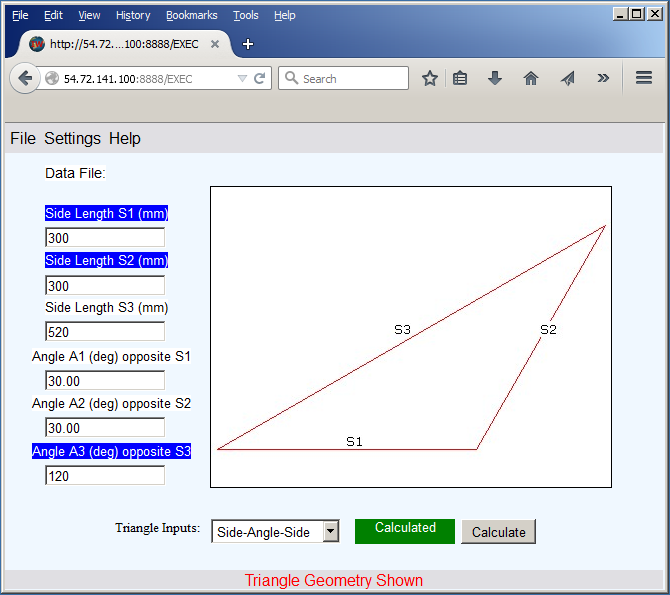 Graphic-2 shows triangle geometry app in browser window. 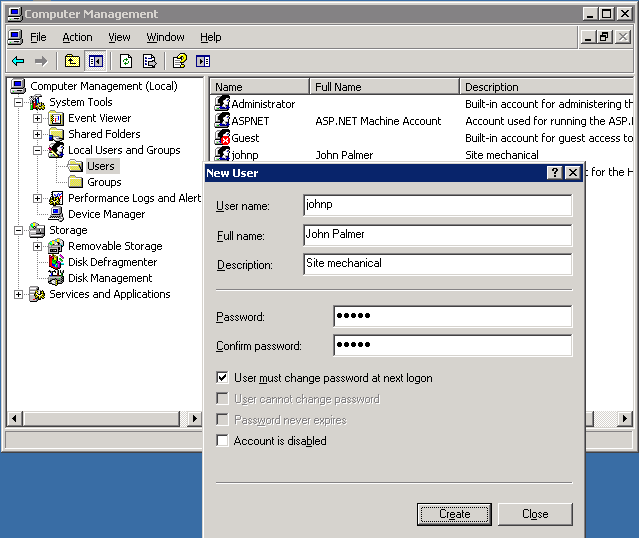 Graphic-3 - With admin logon, menu Settings > List Users is available to show dialog for administrator to add user names and passwords. With authorised user logon (List Users not available), user directory is created if not present in docs folder shown in graphic-4. File menu - file save (graphic-5), file open and file delete - files saved in user directories (graphic-4). Graphic at left (click to enlarge) - Low-cost ZTPad (Android 4.0.3) - Firefox browser addressed to IW server - user logged on and Triangle app displayed and operable with IW server Device Simulation set to PDA. Touch screen performance proven, including on-screen keyboard in response to number input selection. 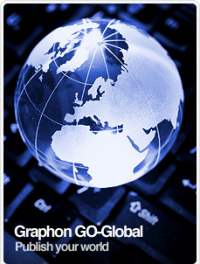 For GraphOn GO-Global see also Resource Dynamics, Inc. and Wizard Systems (UK). And Graphon GO-Global for Windows Documentation - See the PDF Administrator Guide. 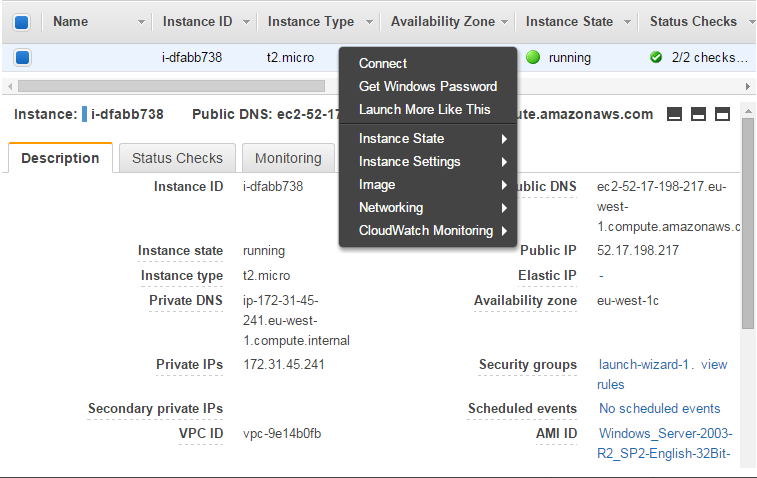 Installation of GO-Global for Windows (GGW) host on EC2. Go-Global Host and Clients available for download here. GGW Host works only with valid license file. To request free GO-Global for Windows 30-day trial license, make application here. 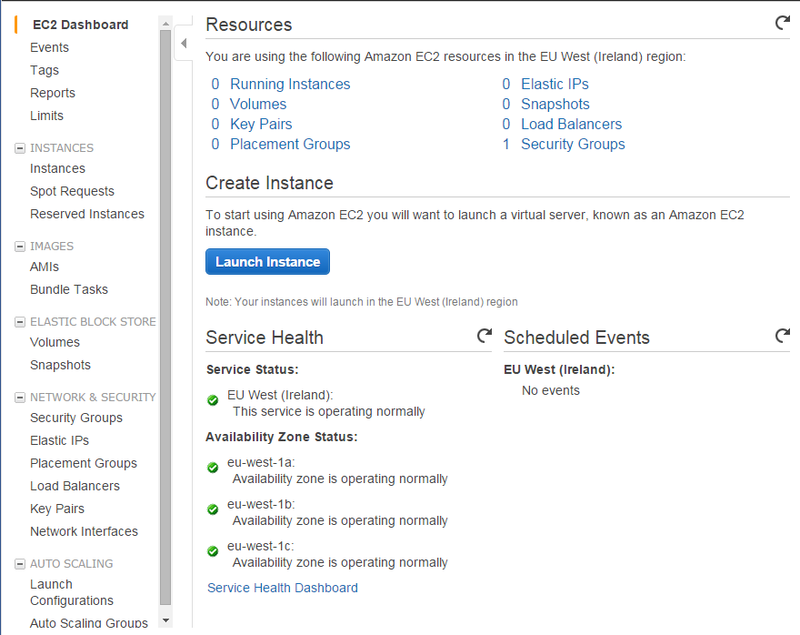 Connect to AMI launched in EC2 - Graphic-1 at left (click to enlarge, arrow keys to index) - Right-click for local menu, select Instance State > Start, wait for Instance State shown as running (green) and Status Checks completed (green). Instance local menu - click Get Windows Password - complete dialog then Decrypt Password - Save Public IP, User Name, Password - Close dialog. 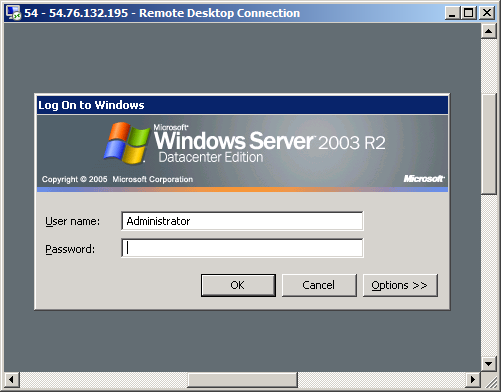 Then (local menu) click Connect - Download Remote Desktop File, save the (*.rdp) file and open the file - See remote desktop Log On to Windows - type password. 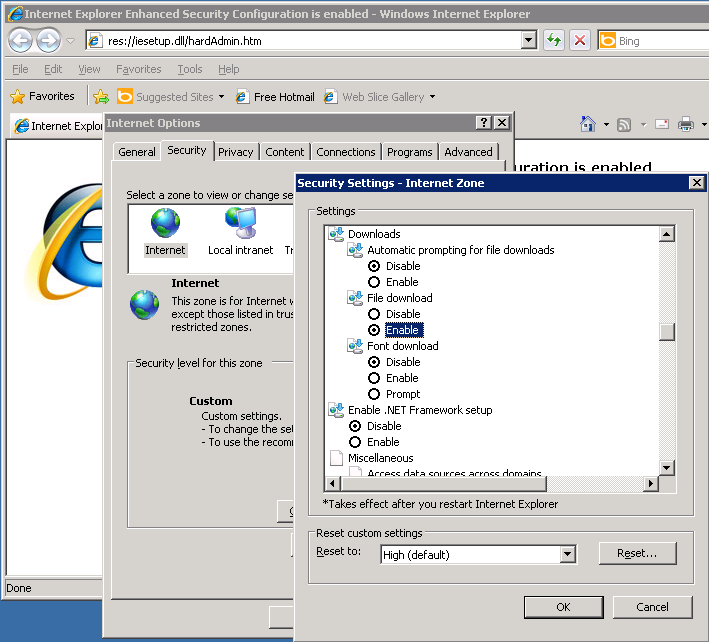 Remote desktop - Address Internet Explorer (IE) to graphon.com. Go to IE > Tools > Internet Options > Security > Trusted sites - click Sites, click Add (add graphon.com to trusted sites to enable downloads). Graphon web page - Customer Support > Software Downloads and Documentation - select GO-Global Host and Clients - drop-down list Host -Windows x86 (means for Win32 programs) - click Download and Run. GO-Global Host installation - Successively click Next - do not install Gateway Connector - click Install - Skip the GO-Global License Setup - click Finish - click No at request to restart system. Add GO-Global license - Home/office system (Windows 7 in this trial) - Supplied license.lic file - open in Notepad, select contents (Ctrl-A) and Copy to clipboard. 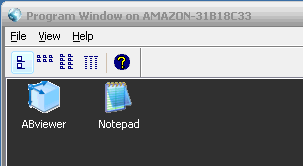 Then, remote desktop - Start button - open Notepad, right-click and Paste. Next, save Notepad to desktop with file name license.lic - Then, File Explorer, Program Files folder, GraphOn folder, GO-Global folder, Programs folder - copy license.lic to remote desktop C:\Program Files\GraphOn\GO-Global\Programs. 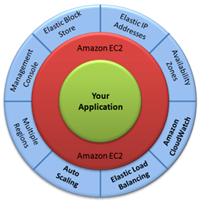 EC2 Instances - graphic-1 - Instance State Stop (red), then Start and wait for running (green) and status checks (green). Local menu (graphic-1) - click Connect - Download Remote Desktop File, copy to desktop, click icon, log on to Windows. Remote desktop - Start button, Control Panel, Administrative Tools , Services - Check GO-Global Application Publishing Service Started. 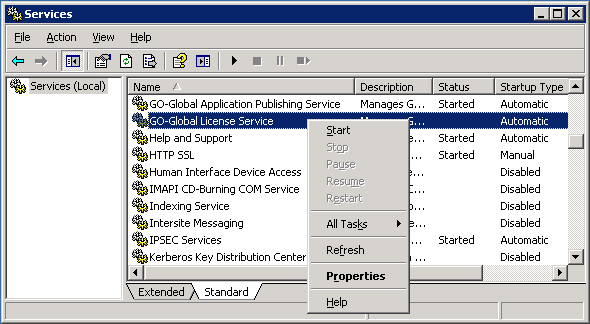 Next, GO-Global License Service - right-click and select Start - check started then open GO-Global Cluster Manager (icon on remote desktop) - graphic-2 - check Current Host is addressed. Cluster Manager - GO-Global communicates on Port 491 (see Tools, Host Options, Security - Connections). 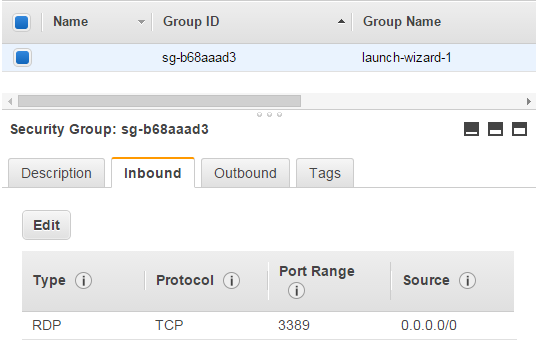 EC2 console, graphic-1, Security groups - click Group Name (name is launch-wizard-1 in this trial) - see graphic-3 - click Edit - click Add Rule - see graphic-4 - click Save. GGW Client - graphon.com - Customer Support > Software Downloads and Documentation - select GO-Global Clients - drop-down list - select Windows - click Download gg-client.windows.exe and run to install the gg-client.exe desktop program that communicates with GO-Global host (Cluster Manager, when started, listening on Port 491). 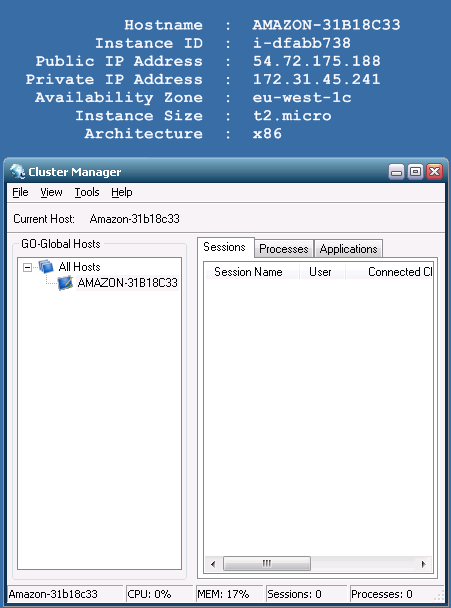 With Installation of GO-Global on EC2, GGW Cluster Manager (host) ready to publish Win32 programs (resident on EC2 remote server) provided that application program(s) are added to host and that permitted Windows user names and passwords are established. GGW works with Windows Users logon. 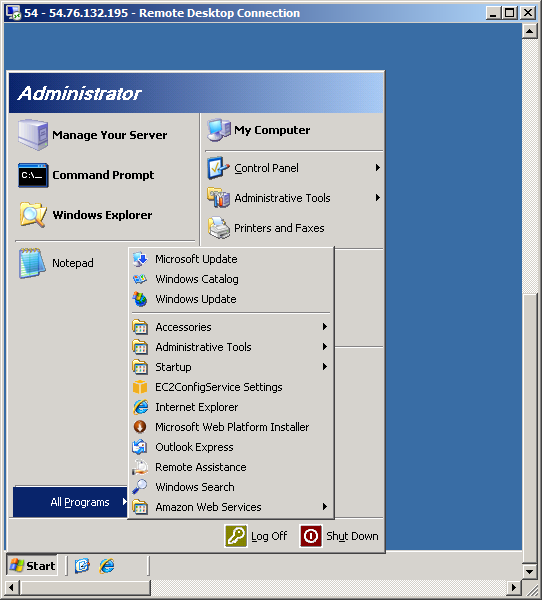 Remote desktop - Start menu > Administrative Tools > Computer Management > expand Local Users and Groups and right-click Users for New User - Graphic-1 (click to enlarge, arrow keys to index). Remote desktop - Start menu > Administrative Tools > Services - Right-click GO-Global Lcense Service and Start if Status not Started - Graphic-2. 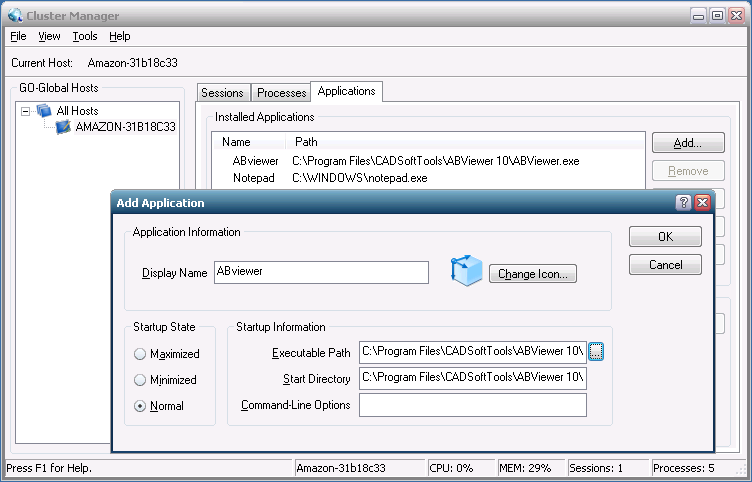 Remote desktop - application program ABviewer installed. Cluster Manager started - Graphic-3 shows application added so as to be available to all logged-on users excepting logon is denied for some users - Graphic-4. Windows client - Graphic-5 - connects to GGW host - Graphic-6. 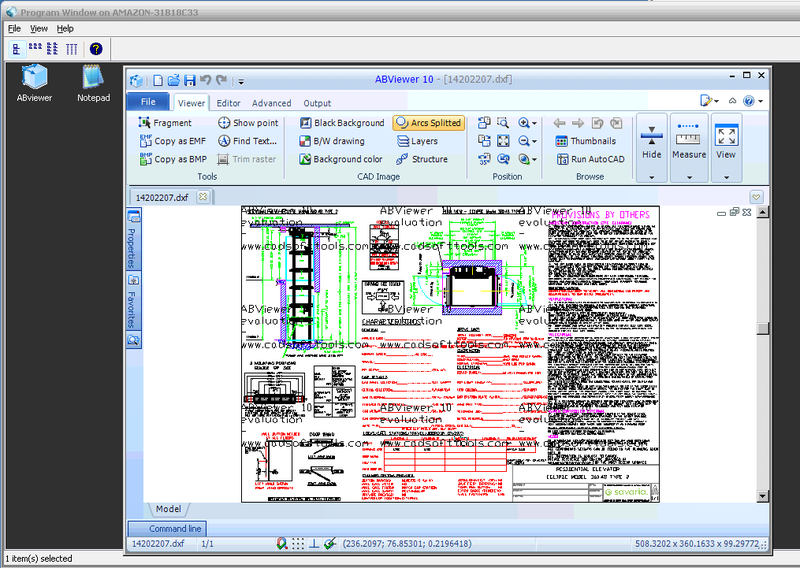 In Program Window, selection of ABviewer opens as shown in Graphic-7 with a drawing file opened from the File menu. 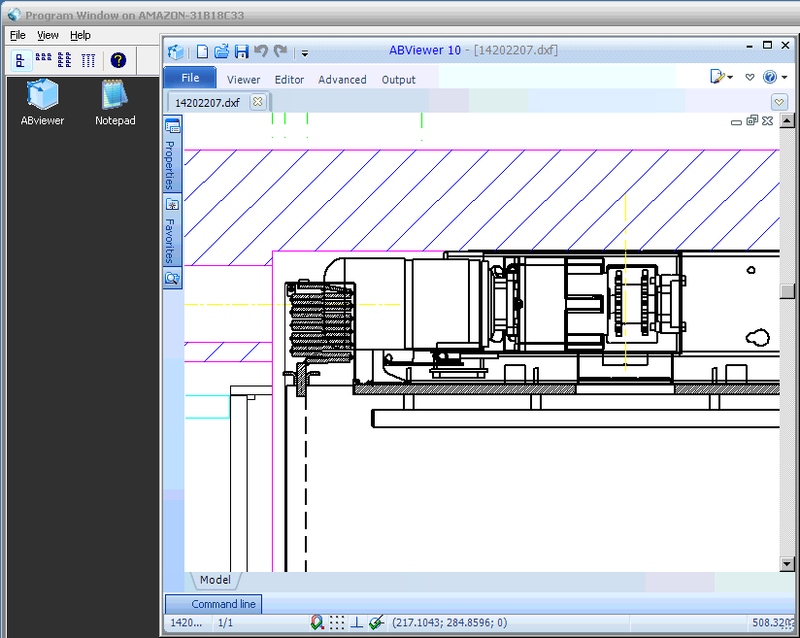 Graphic-8 shows a zoomed rectangle on the drawing. Conclusion - GGW publishing of ABviewer - drawing viewer can be maximised full-screen - graphics performance assessed on large flat screen monitor - Using vertical and horizontal scroll bars, smooth panning - using Viewer Position controls, zoom functions, including rectangular zooming, immediate and responsive. 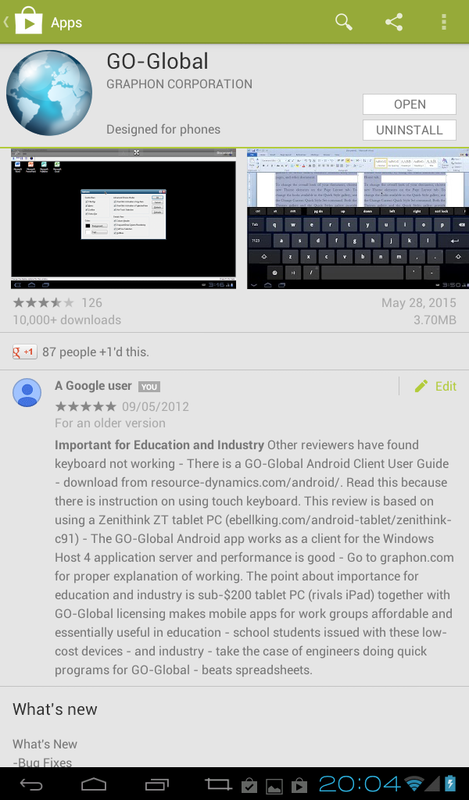 GO-Global Mobile Clients are here and there is PDF User Guide for GO-Global Android Client. See also Android Client for GO-Global at Resource Dynamics and details of their Test Drive Server. Graphic-1 (click to enlarge, arrow keys to index) - Low-cost ZTPad (Android 4.0.3) - Search Google Play App Store for GO-Global. Graphic-2 - GO-Global App installed and opened. Connection (IP Address 71.40.152.194, user name TSHDGUEST, password helpdesk) set to Test Drive server at Resource Dynamics. 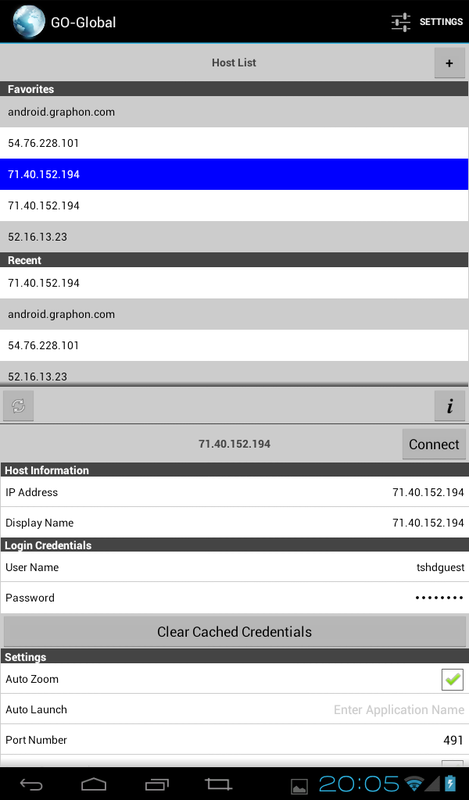 Note: In Graphic-2, App makes available the android.graphon.com connection to GO-Global online demonstration server. Graphic-3 - GO-Global Android Client connected to program window, Resource Dynamics GO-Global server. And Graphic-4 - Windows Notepad opened in program window with Save As dialog opened showing (remote) access to host drives for logged on user - See PDF Administrator Guide - Client File Access, Hiding Client Drives and Hiding Host Drives. 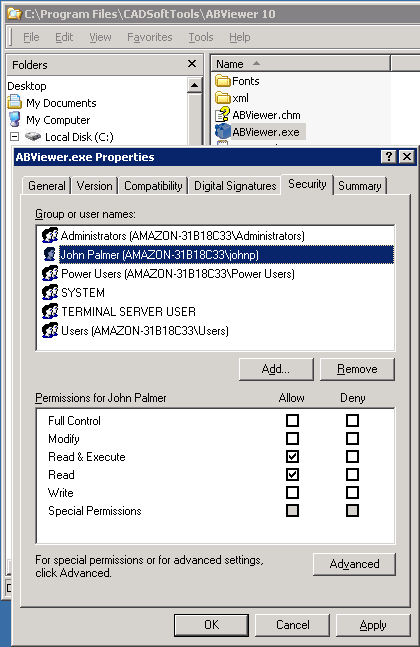 Subject here is use of Amazon EC2 to launch instance of Windows Server accessed via Windows 7 Remote Desktop. 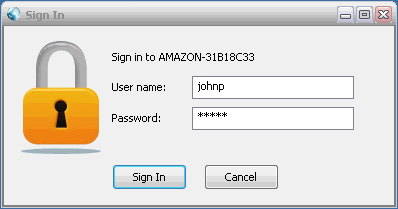 At http://aws.amazon.com/ec2/ sign in or create an Amazon Web Services (AWS) account. Purpose is to separately publish on the Web Windows (Win32) application programs by having installed on the server both IntraWeb and GO-Global. To shut-down the running instance, graphic-2 Instance State > Stop.